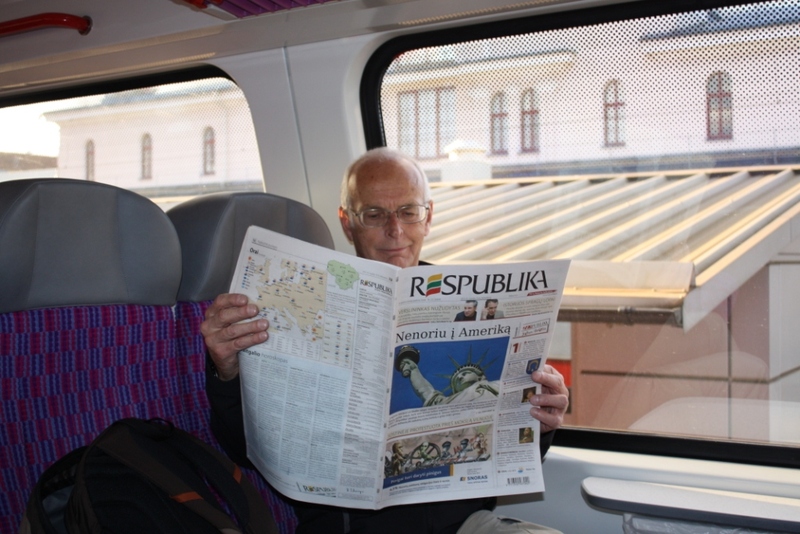 On our third day in Lithuania we took a bus to Vilnius, the capital city. What an attractive place. 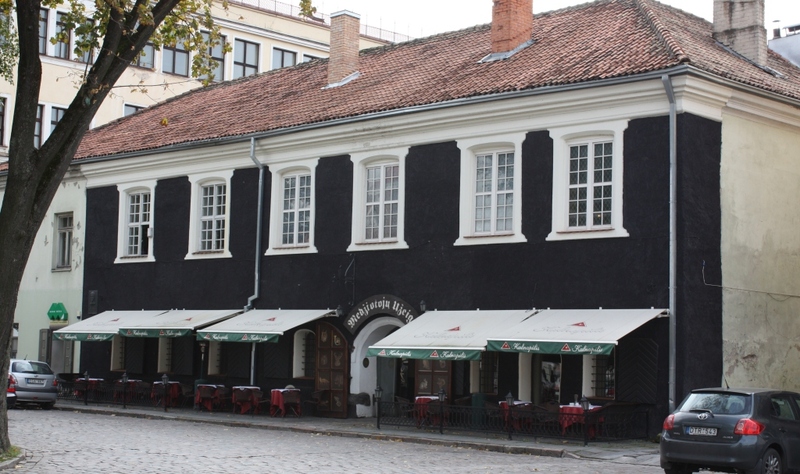 It’s Old Town became a Unesco World Heritage site in 1994. 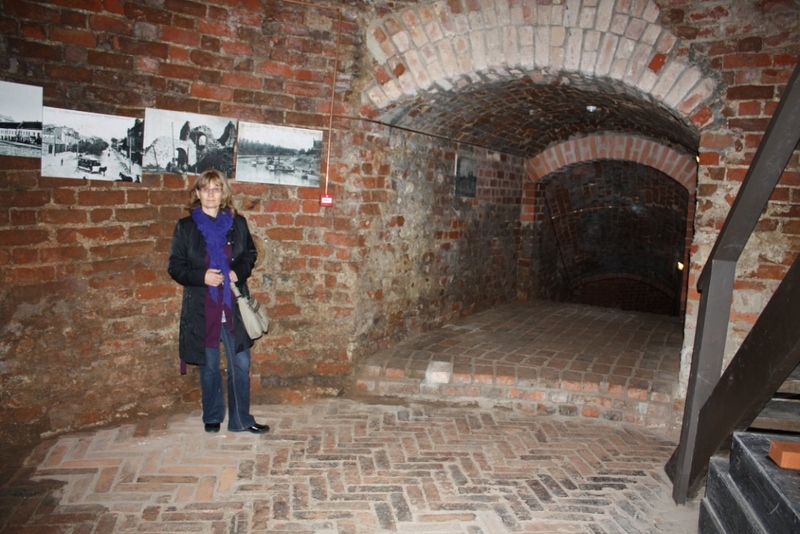 Vilnius is another place where they don’t dig up the roads every six months or so. 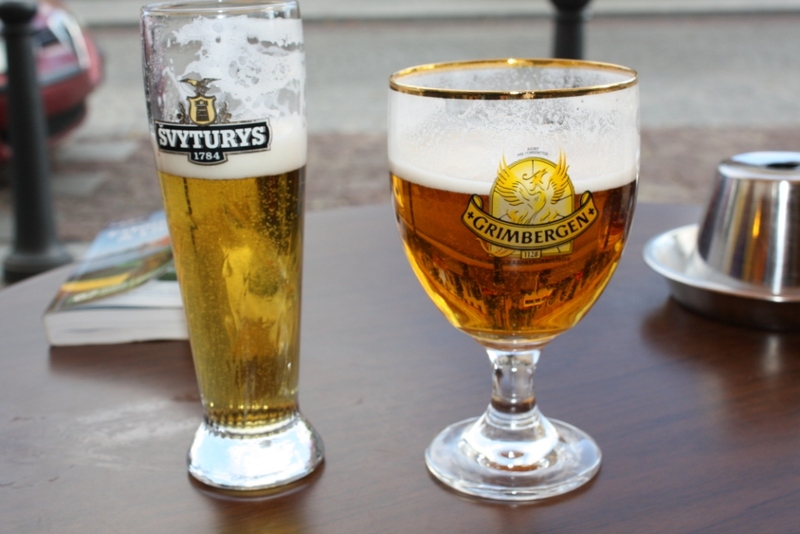 All that walking, and it was time for some Lithuanian beer. Having read that Lithuanians like the less savoury bits of animals, such as tongue, pork bladders, innards, snout, trotters, etc, I was looking forwards to some good offal. 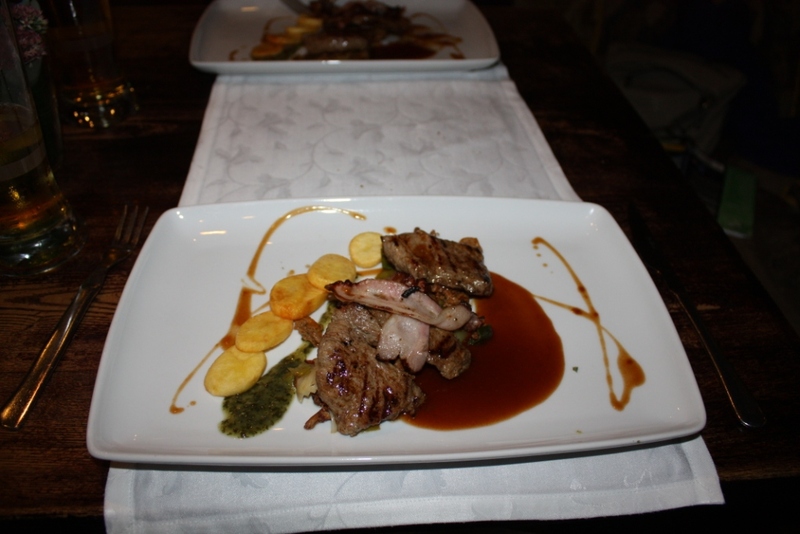 In the event, at the Medziotoju Uzeiga restaurant, on the main square, we had what Lindsey reckoned was one of the best meals ever – wild boar steaks with mushrooms. 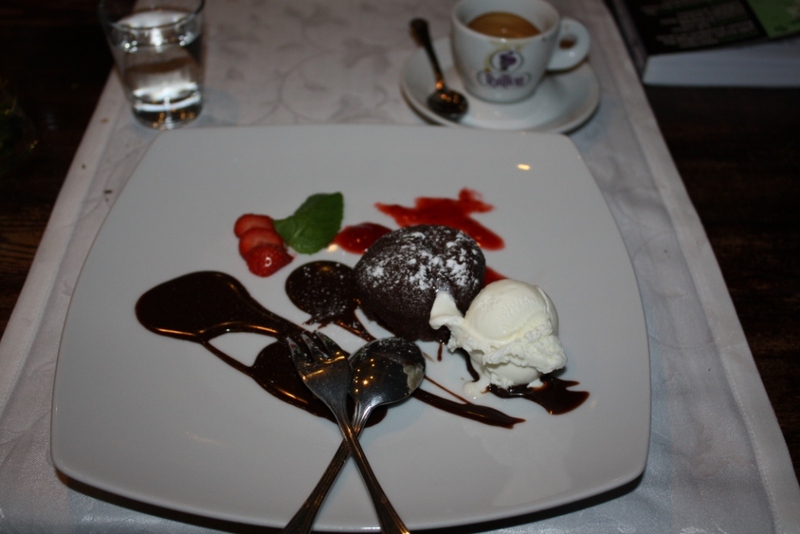 My pudding was equally historic. 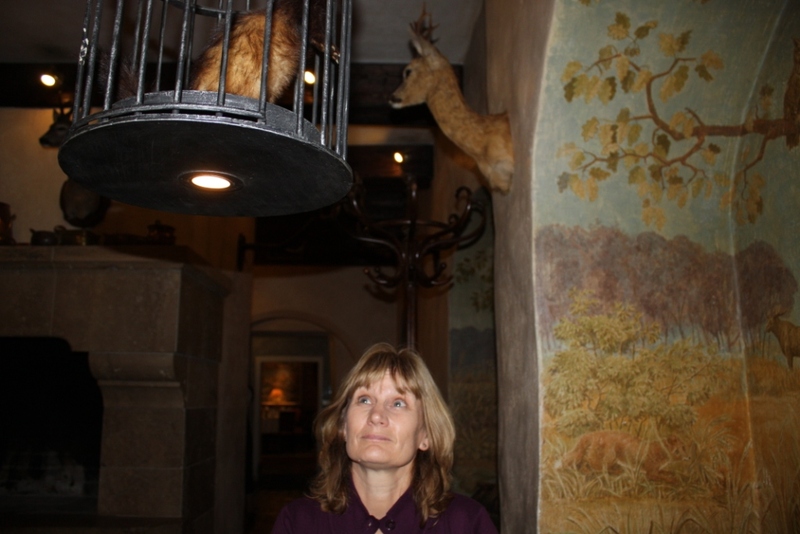 Above our heads was some strange decor, the theme of the restaurant being things from the forrest. 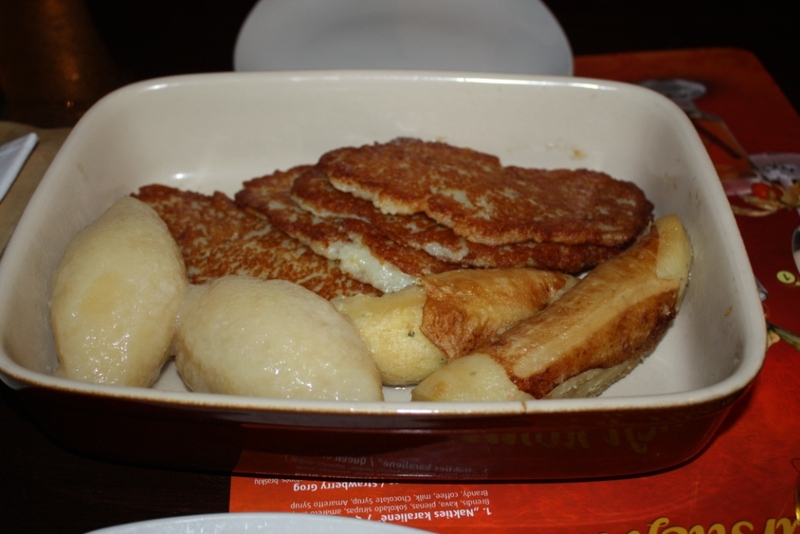 Many of the restaurants don’t seem to serve dumplings, which are famous in Lithuania. 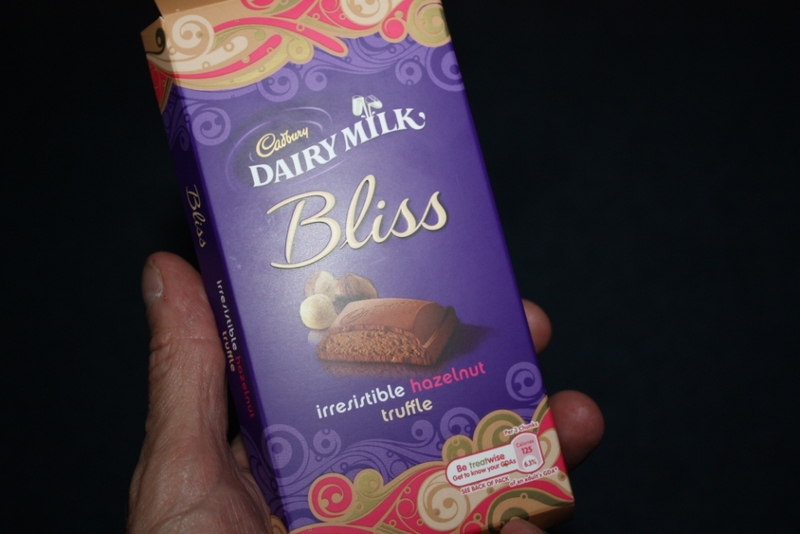 We eventually found some in a restaurant in the Kaunas Akropolis shopping centre. The potato dumplings with mincemeat in the centre were OK, the potatoes in sausage skins were a great disappointment, and the fried potatoes were excellent. 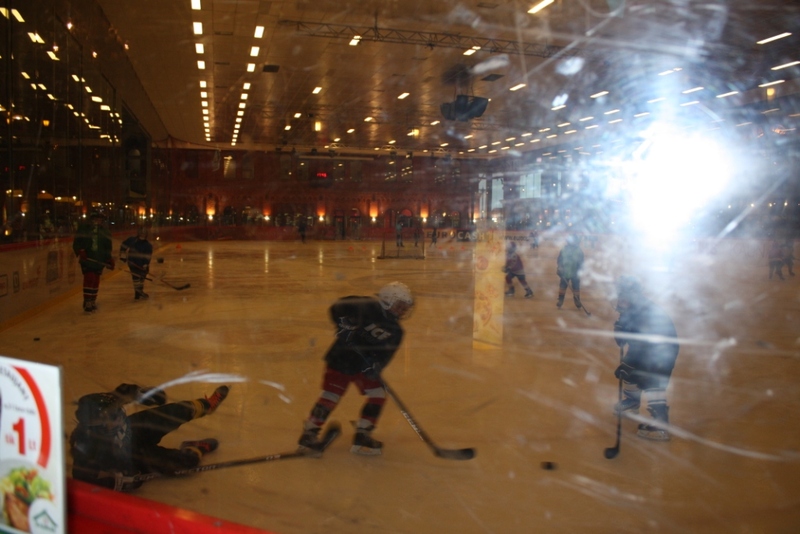 The tables in the Cili Kaimas restaurant, on the third floor of the shopping centre, were on the edge of an ice rink. I’ve added the following Open Access journals to JournalTOCs, where you can find the latest Tables of Contents from over 17,000 scholarly journals, including over 2,500 Open Access journals. Previous journals added are listed here. Unfortunately, many other OA journals do not produce TOC RSS feeds – see my post on why they should. See also why any journal, OA or otherwise, should produce a TOC RSS feed. If you know of any OA journals with TOC RSS feeds which are not already included in the JournalTOCs service, you can Suggest them for inclusion. You can follow JournalTOCs on Twitter. 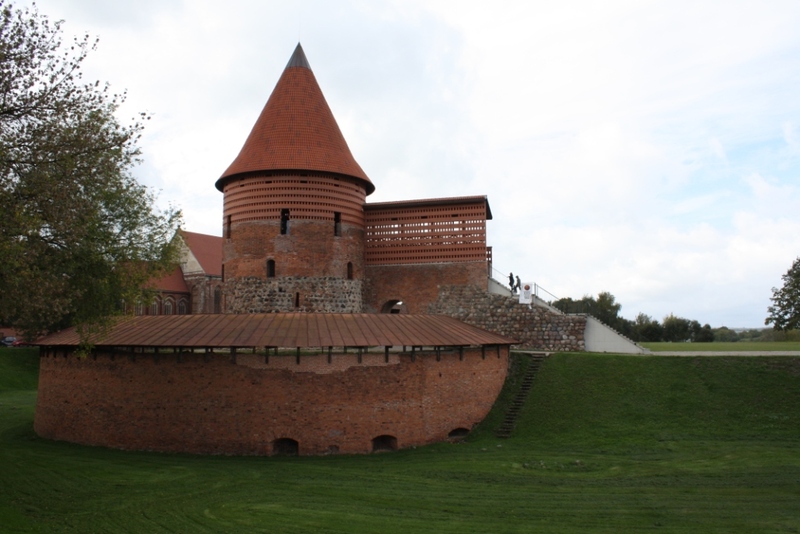 We enjoyed walking round Kaunas Castle. 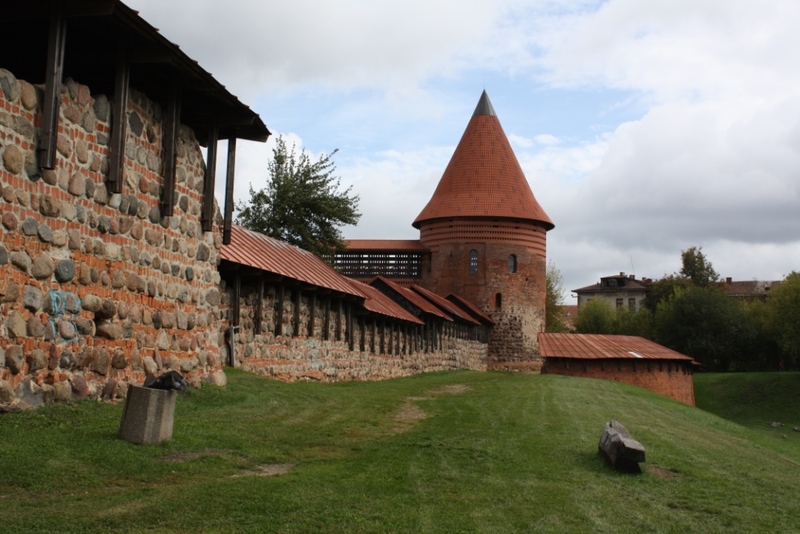 Parts of the castle date back to the 13th century, but it was reconstructed in recent years. 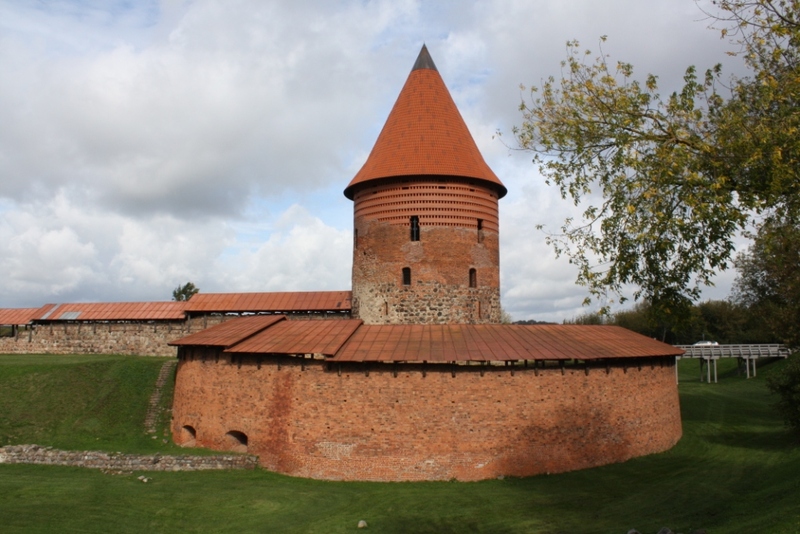 It has a good defensive position, at the confluence of the Nemunas and Neris rivers, and was built to resist the Teutonic Knights (Crusaders), Lithuania being the last pagan country in Europe. 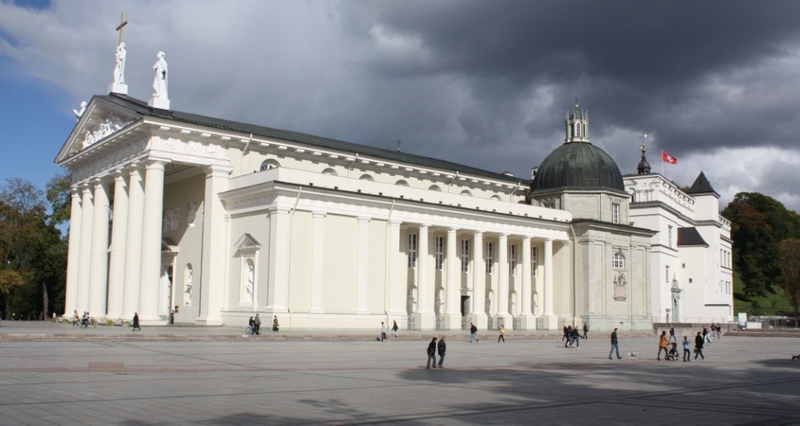 Napoleon passed through Kaunas twice. 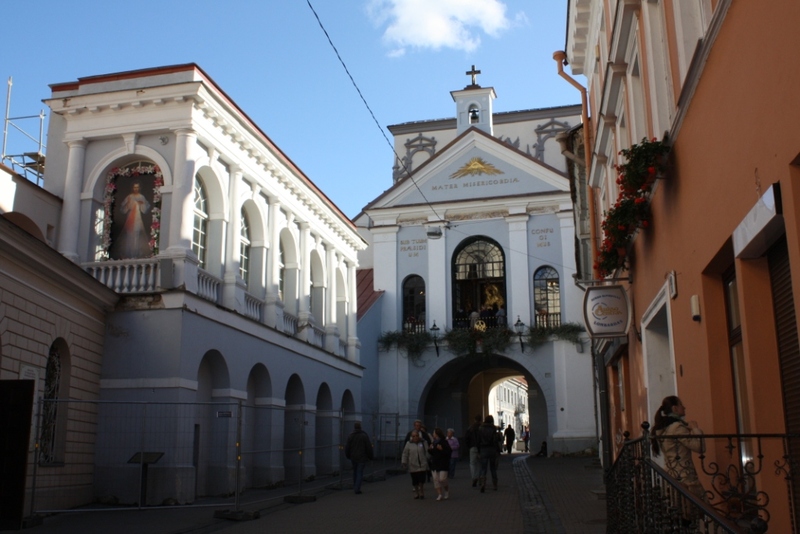 When he entered Vilnius (100 km south east of Kaunas) on June 27, 1812, he was greeted by the Lithuanians as a liberating hero. Many Lithuanians fought in Napoleon’s army. 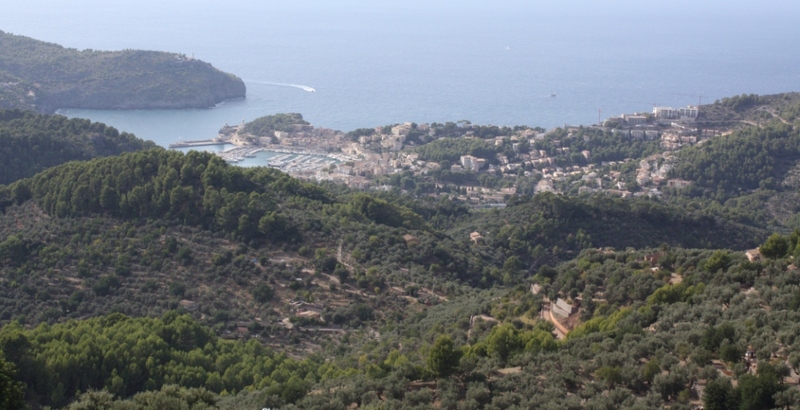 View from the tower. 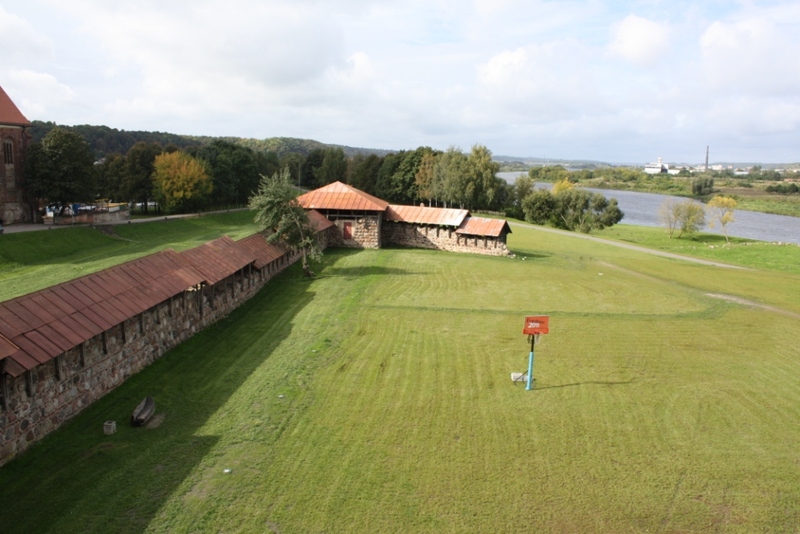 Notice the basketball net in the centre. 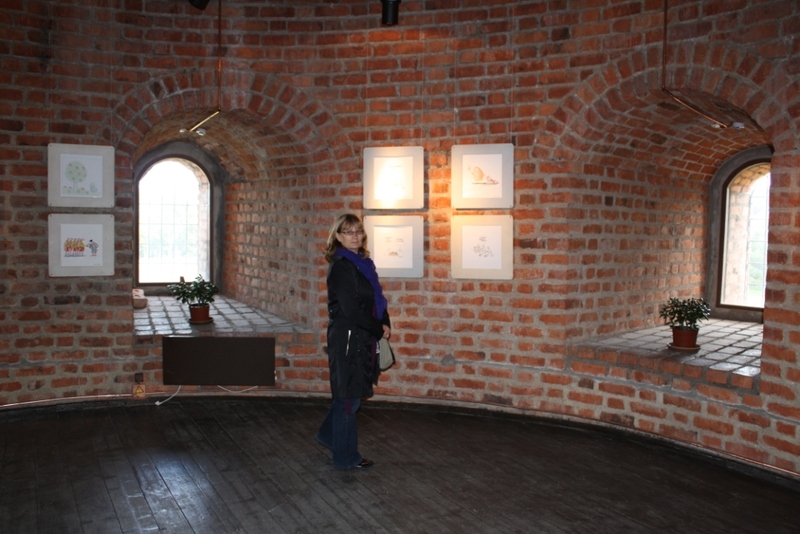 Inside the tower was an art exhibition featuring cartoons about basketball. 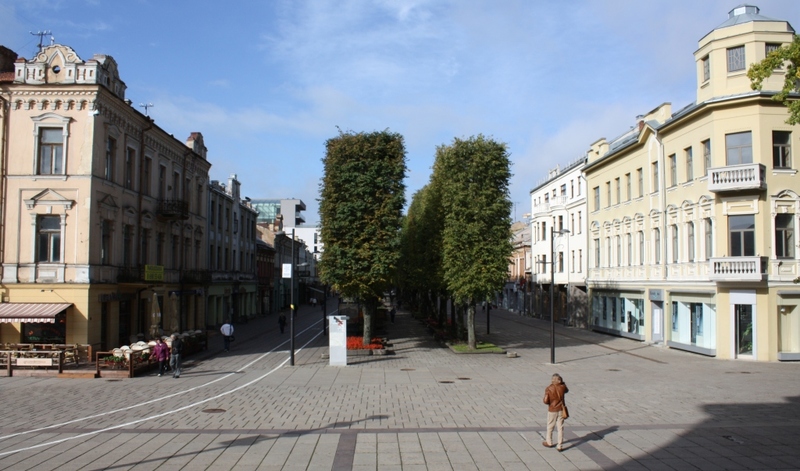 One peculiar thing about Kaunas is that the people are mostly at least six foot tall. They carry no weight, either. It’s no wonder that basketball is the national sport. 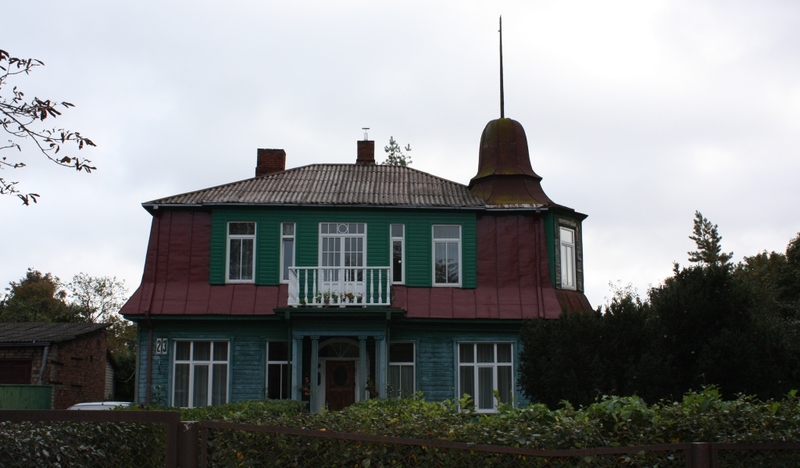 There are almost as many sports facilities and gymns in Kaunas as there are dental practices. 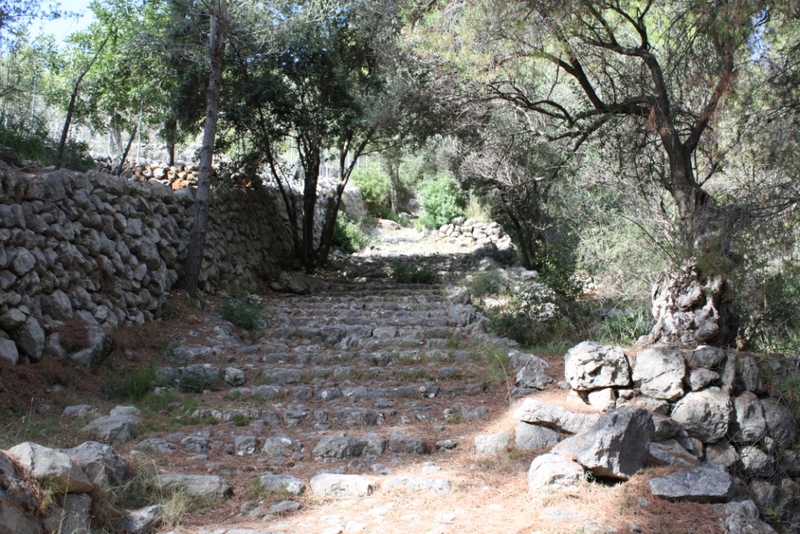 However, on the last morning as we waited an hour for the airport bus, it seemed that only very small people were out and about. We saw no-one taller than 5ft 3inches. Most peculiar. 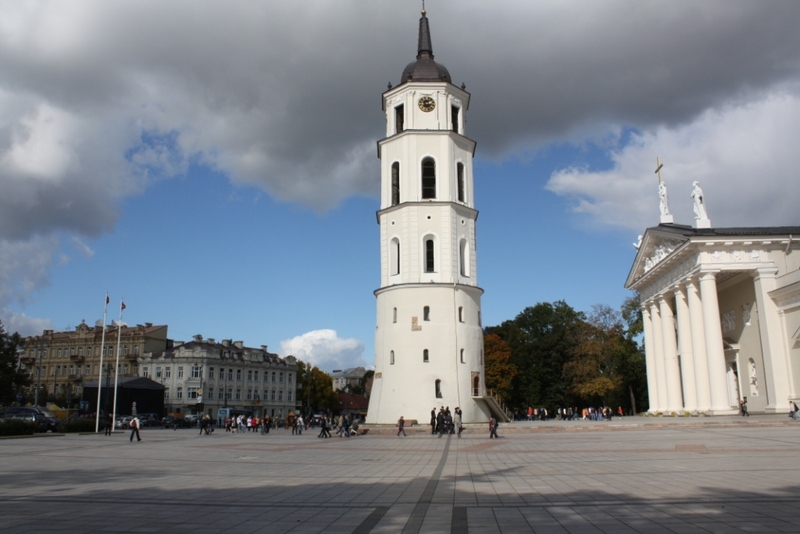 Kaunas (population 360,000) is the second largest city in Lithuania. 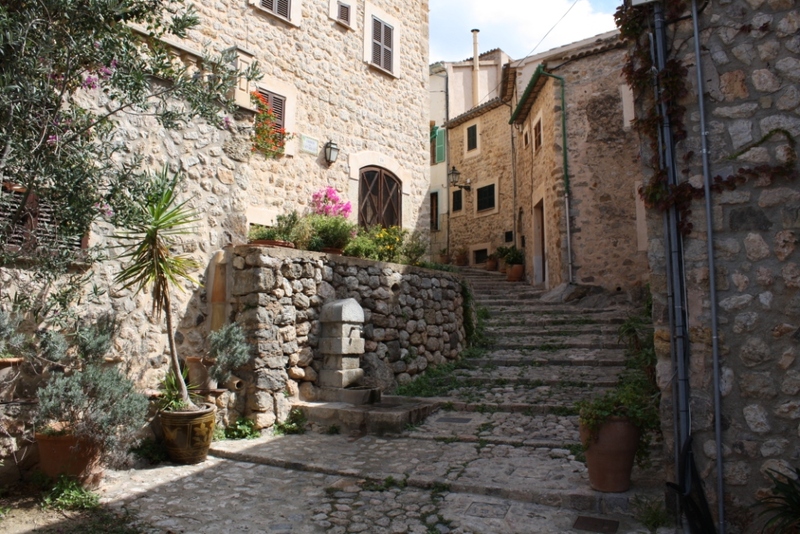 It has an Old Town, built in the 15th – 16th centuries, and a New Town, built in the 19th century. 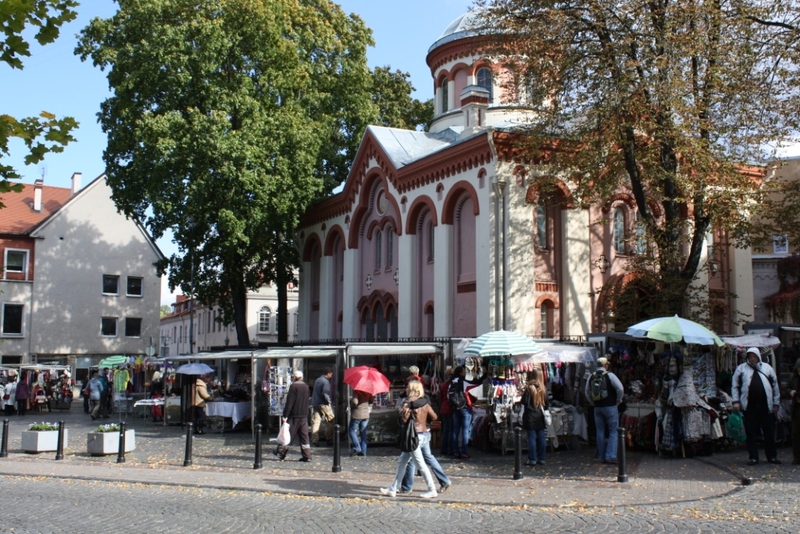 Connecting the two is Vilniaus gatve, where most of the tourist shops and restaurants are located. 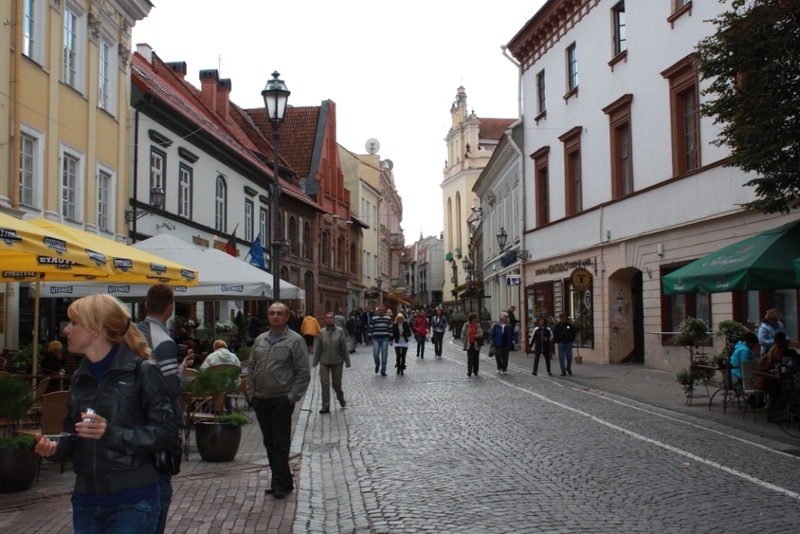 Laisves aleja is the main street in the New Town. 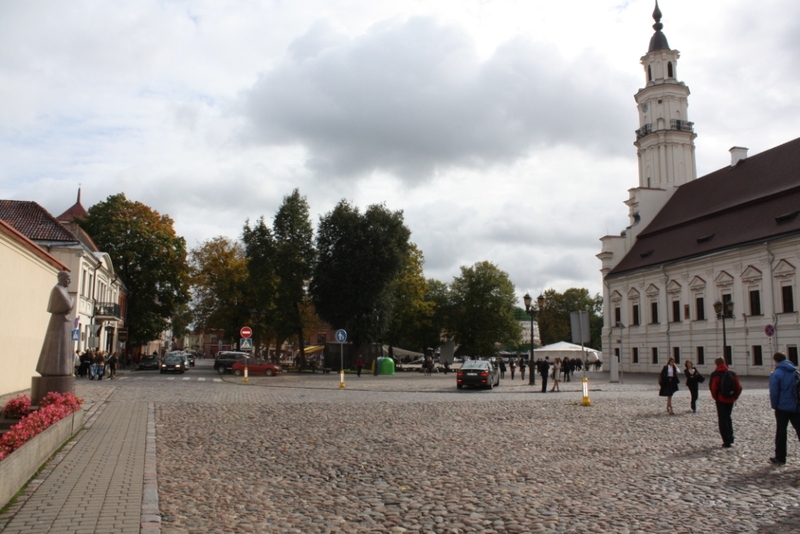 In the centre of the Old Town is the large Rotuses Aikste square. 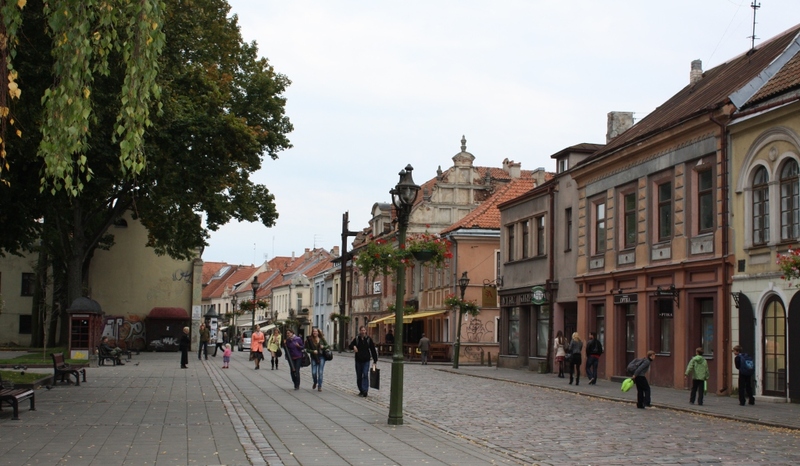 You can see that, unlike Edinburgh, they don’t dig up the roads in Kaunas every six months or so. 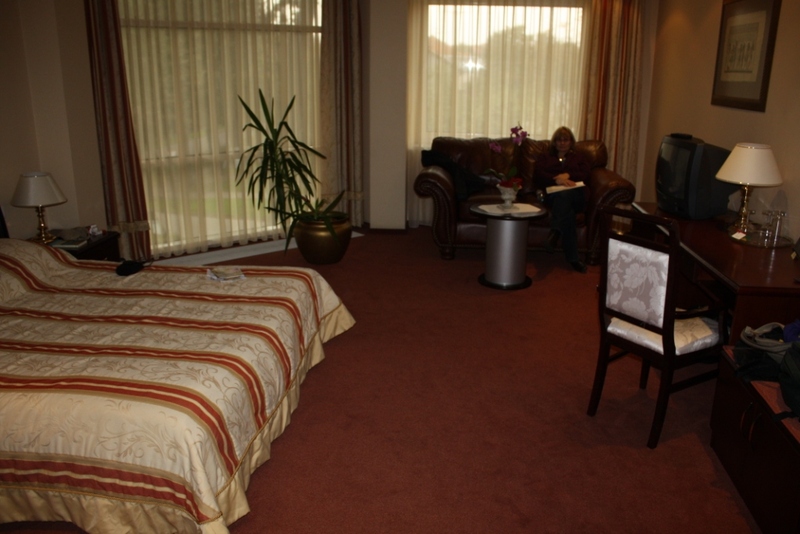 We’re back from Lithuania, where we stayed in the Sfinksas Hotel in Kaunas. This is a nice hotel set in the suburbs not too far from the centre of town, where you wouldn’t normally expect to find a hotel. If it wasn’t for my perfect sense of direction, we’d still be looking for it. The room was fine, and the breakfasts were OK. The only problem was on the last night when there was a wedding reception in the area directly below our room. There was virtually no soundproofing, so we were kept awake until after 2am by the band. I normally don’t complain, and you have to allow for other people enjoying themselves, but I phoned receptionn at about 1am to suggest they turn the volume down a bit. Five hours of traditional Lithuanian wedding music played by a not bad band (drums, accordian, bass guitar) was enough.